Dover- As we enter into the peak tax filing season, the Delaware State Police is providing a Scam Alert Advisory. This is a general alert which is applicable to the entire State of Delaware. 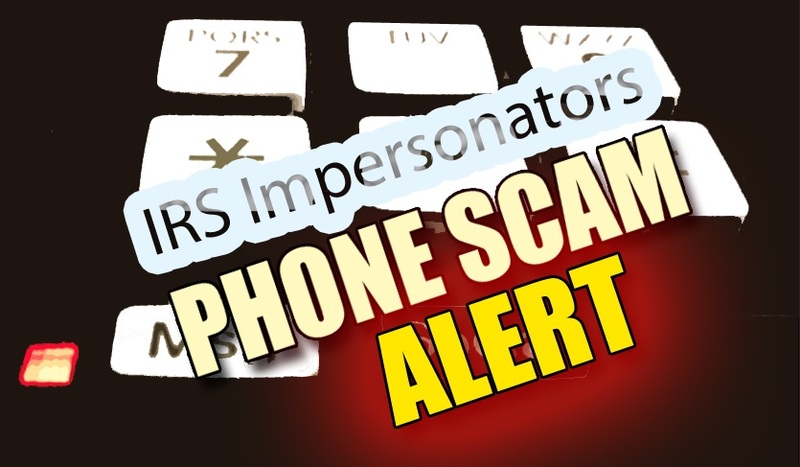 The Delaware State Police have recently been made aware of unsolicited phone calls being received by members of the community, from individuals claiming to be with the IRS . 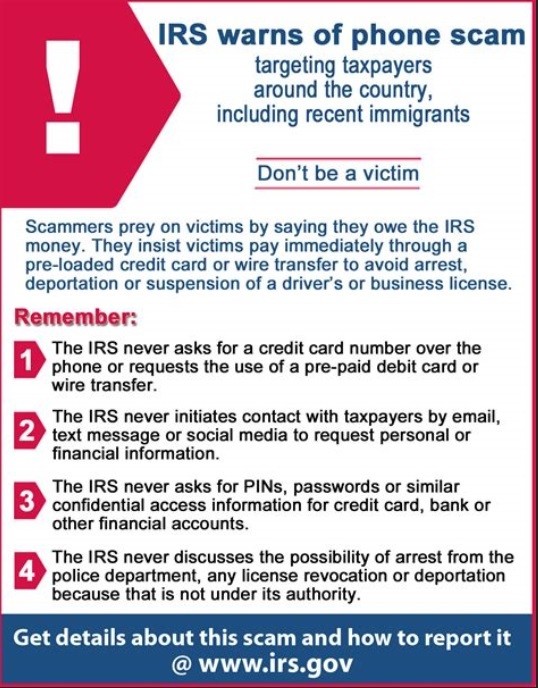 The scam involves a person calling claiming the victim owes money to the IRS and it must be paid promptly. If the victim refuses, they are threatened with arrest, deportation, or suspension of their driver’s license, amongst other things. In the most recent phone calls, the individual requests the victim send money in the form of an iTunes card.